Reason Magazine takes you to a Chinese System D boomtown: Wenzhou, where businesses have joined together to fund the city's infrastructure. Private citizens were the first to connect Wenzhou to neighboring regions by building roads, bridges, and highways, as well as the city’s airports and substantial portions of the dock. Even today the city is scattered with infrastructure investment firms through which groups of businessmen pool money to build the transport routes they all need to get their goods from factory to the point of sale. The result is not pretty. Aside from the confusion faced even by residents driving into the city, it is not uncommon to see sidewalks torn up to insert piping, with seemingly no intention of replacing the concrete. Nevertheless, the system is crudely efficient, merchants can all easily access factories, and the factories in this geographically isolated city now have sales networks that span the globe. ... The streets around the railway station are covered in stalls selling $3 blue jeans and $5 boots. There’s a city block dedicated to baby clothes next to a street that sells plastic signs for bathroom doors. In one run-down alleyway you’ll see people repairing televisions, making blankets, and selling fruits, vegetables, and poultry (live or dead). Further outside the center, you can find small shops dedicated to aluminum rods, sheet metal, tire rims, and tires. ... 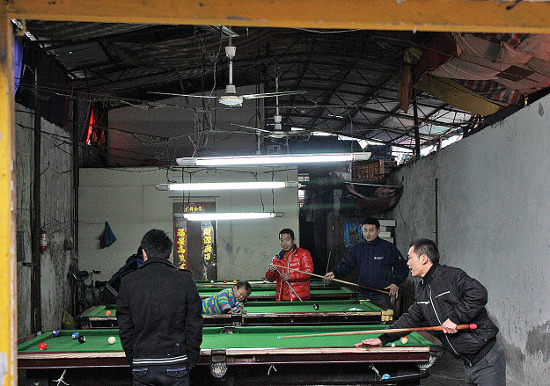 Pool halls are set up wherever there’s open space that you can set a tarp over. Gambling dens are openly advertised. Taxi drivers often drive off the meter. The karaoke parlors are numerous, and almost all of them double as brothels. The poorest residents take part in one of the largest citizen recycling programs anywhere in the world. 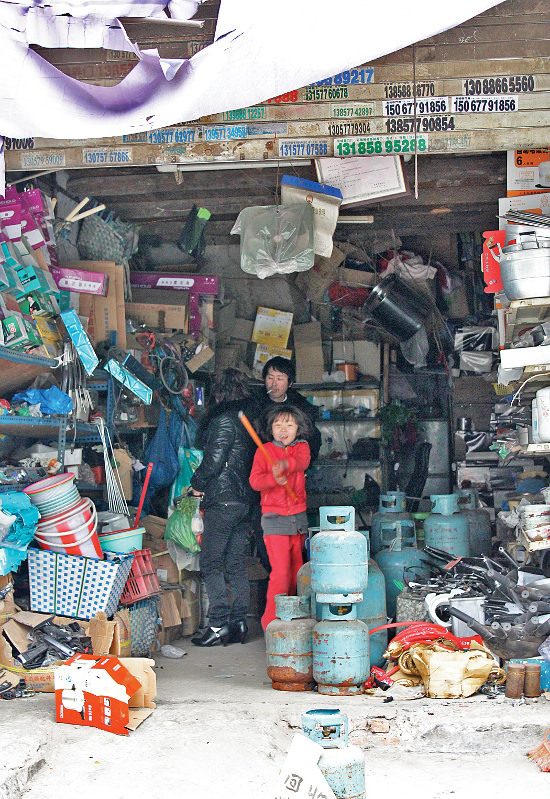 In an alley one family collects scraps of fabric to sell to the local textile mills, another hoards scraps of paper and cardboard to send to the paper mills, and in front of a lot that looks like it is being used for a garbage dump, a man has set up a secondhand goods shop. Hat tip to Zach for flinging this my way. a great idea or more hot air?